Pidatala Sitapati. M.A. (Leeds). MA. [Karnataka), B.Sc., L.L.B., I.A.S. [Retd.) was born at Anantapur in Andhra Pradesh on 7th January. 1933. He is a Fellow of - the Royal Asiatic Society and is presently working as- Enquiring Authority with the Government of Andhra Pradesh. The author was Collector. District Magistrate. Chittoor, (1966-68) and Commissioner of Archaeology, Archives and Oriental Manuscripts and Research Library. He retired as Chief Secretary to the Governor of Andhra Pradesh recently, with the rank of Chief Secretary to Government. A student of Oriental studies. Specialised in temple sciences, he is a keen archaeologist, journalist numismatist and specialist in Indian Art Studies. His publications include Sri Venkateswara the Lord of Seven Hills, Tirupathi in the Book-University series of Bharatiya Vidya Bhavan (four editions 1968, 1972, 1977 and 1989). Sri Kala Hasti Temple, Sri Ahobilam Temple, New Satauahana Sculptures from Andhra Amarauathi. Srisailam Khagfigats Volume - l and ll. He ‘is the author of Command Area Development of India with special reference of Andhra Pradesh. His two other recent works Sri Padmauathi Parinagam (translated from Bhauishgottara Puranam] and Tirumala Temple, a historical monograph guide to the temple, its history, art, and sculpture are under publication. This book is very humbly dedicated to the twin lotus feet of Sri Lakshmi Sarnetha Venkateswara Swamy the Ishta and Para Daiuam of the author. 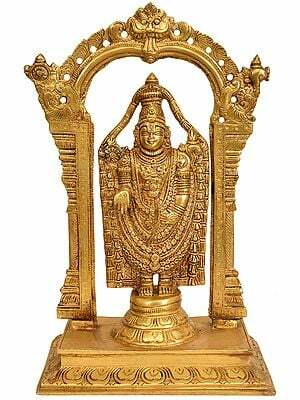 This book "Sri Venkateswara Swamy, Tirumala: Worship, Utsavams and Festivals" is dedicated to the twin feet of Sri Lakshmi Sametha Sri Venkateswara Swamy, the istha- daivam and now the kale—daivam of the author. The author worked earlier as Collector of Chittoor District (1966-68), as Commissioner of Archaeology, Archives and oriental Research and Secretary to the Government of Andhra Pradesh, (with the rank of Chief Secretary to Government) and after retirement as Enquiring Authority, G.A.D. in the Government of Andhra Pradesh. The earliest comprehensive manual on Sri Venkateswara Swamy was published while the author was Collector of Chittoor under the title "Sri Venkateswara, The Lord of Seven Hills, Tirupati" by Bharatiya Vidya Bhavan in its Book University Series in 1968 and has run into several editions. The author who has specialised in temple science has brought out many other books such as Sri Kala Hasti Temple, Sri Ahobilam Temple, New Satauahana Sculptures from Andhra Amaravathi, Enugu Veera Swamy’s Journal, Sri Venkateswara Swamy in Telugu (with P. Rama Devi Sitapati as co—Author) and several research volumes such as Srisailam Temple, Temple Bronzes of Srisailam etc., A special issue "ITIHAS" on the temples of Andhra Pradesh was also brought out to commemorate the second world Telugu Conference in the year 1981. He has several books on administration and Irrigation (Command Area Development) to his credit. 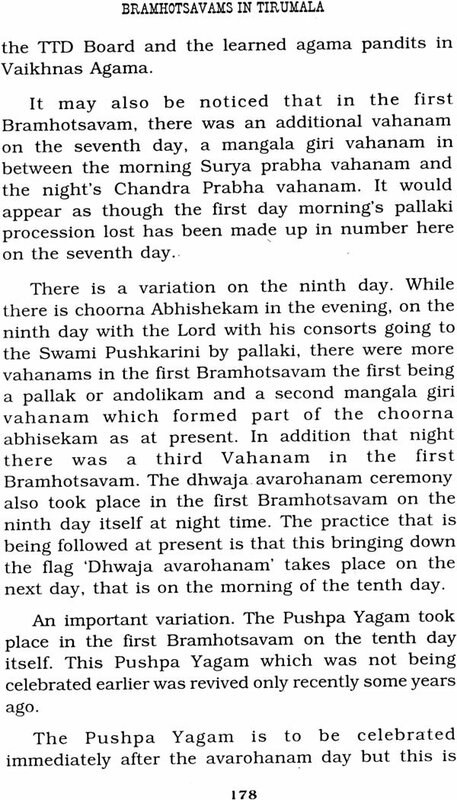 The ancient Vaikhanasa form of workship of Sri Venkateswara Swamy is slightly different from the Pancharatra agamic form of worship of Vishnu in Vaishnavite temples of India. It follows the Sanskritised more ancient Vedic traditions of worship. The Lord here is also unique, in that He is a Super Agamic Manifestation that is One who came into being before the Vedas and Agamas came to be. A study of the worship of this Lord is therefore timely, especially when no systematic study of this has been made so far, in spite of brief mention and historical studies by the author himself, my late colleague Shri N. Ramesan in his book Tirumala Temple and Historical Studies of Some Festivals by Sri T.K.T. Veera Raghava Charya in his History of Tirupathi [1982). 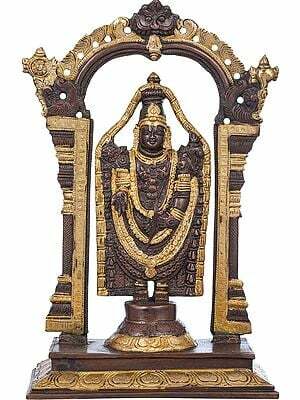 The present study is an all comprehensive and systematic study of the actual daily ritualistic worship of Sri Venkateswara Swamy against the background of the Vaikhnasa Agamas particularly the Maricha Samhita Vimana Archana Kalpaha followed in the rituals of this temple. The Sevas and the Utsavams are dealt with comprehensively, and the author has had the benefit of being an eye witness of the worship for more than 35 years of his service in the State and also as an humble devotee of Lord Sri Venkateswara. The Bramhotsavams have been studied in great detail here and the festivals to a large extent. 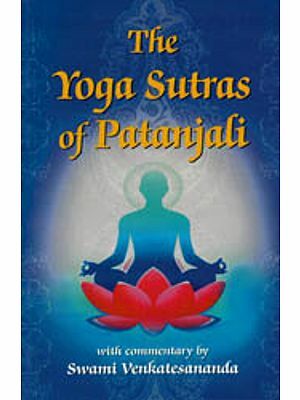 The author who is dedicating this book to the holy feet of Sri Lakshmi sametha Sri Venkateswara Swami hopes that this book will fill the gap for the need of a book on the worship of the Swamy, His Bramhotsavams and the "Nithya Kalyana Paccha Torana" festivals which take place here around the year. Along with this book, the author is dedicating two more books to the twin feet of Sri Venkateswara Swamy; One is ‘Sri Padmavathi Parinayam’ the book translated from the Sanskrit Bhavishyottara Puranam and another a ‘Historical Monograph guide of the temple, its history Art and Sculpture'.